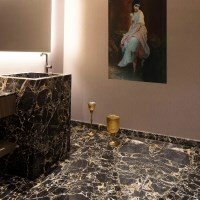 We already written here about the domains where natural stone has been strong lately. We are talking about clothing, footwear, clothing accessories, cars, electronics ... Furniture cladding with natural stone is not that new, but we have to mention it here, because furniture designers are increasingly focusing in this direction. 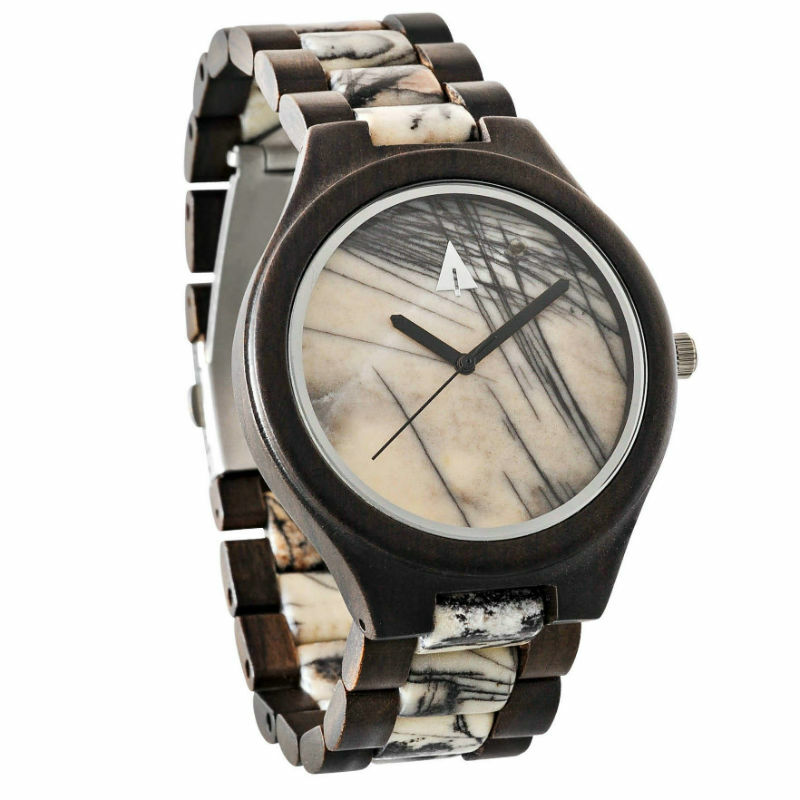 In this article we will present some models of watches that have incorporated the natural stone into their structure. Marble and granite are the materials that dominate here, as is the case with car accessories. Slate and onyx are recovering and probably will remain the favorites of the luxury area of the horology for many years to come. 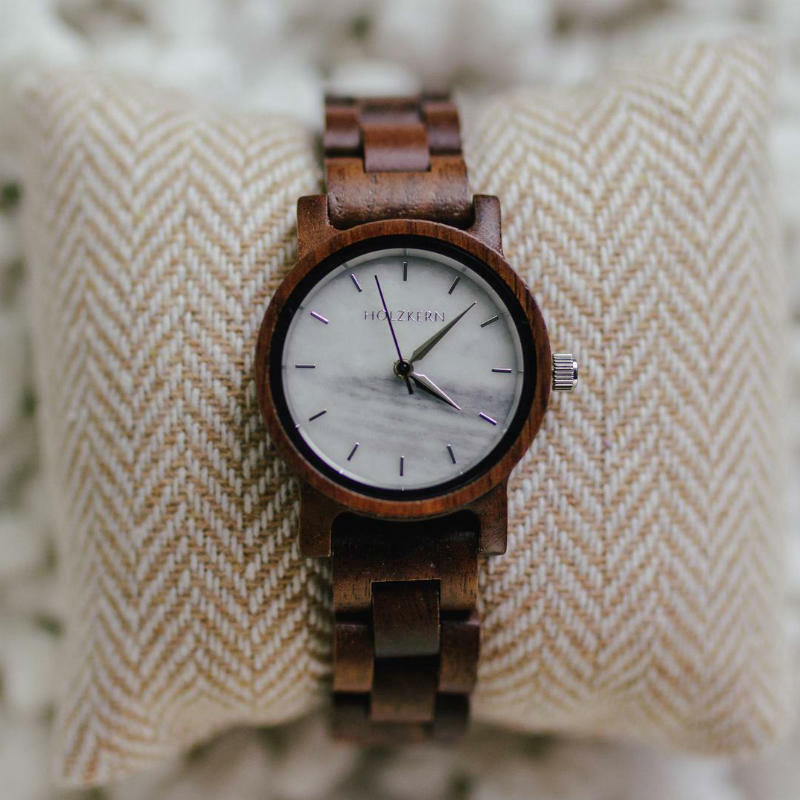 Watches have always represented more than a practical object but also a symbol of social status. 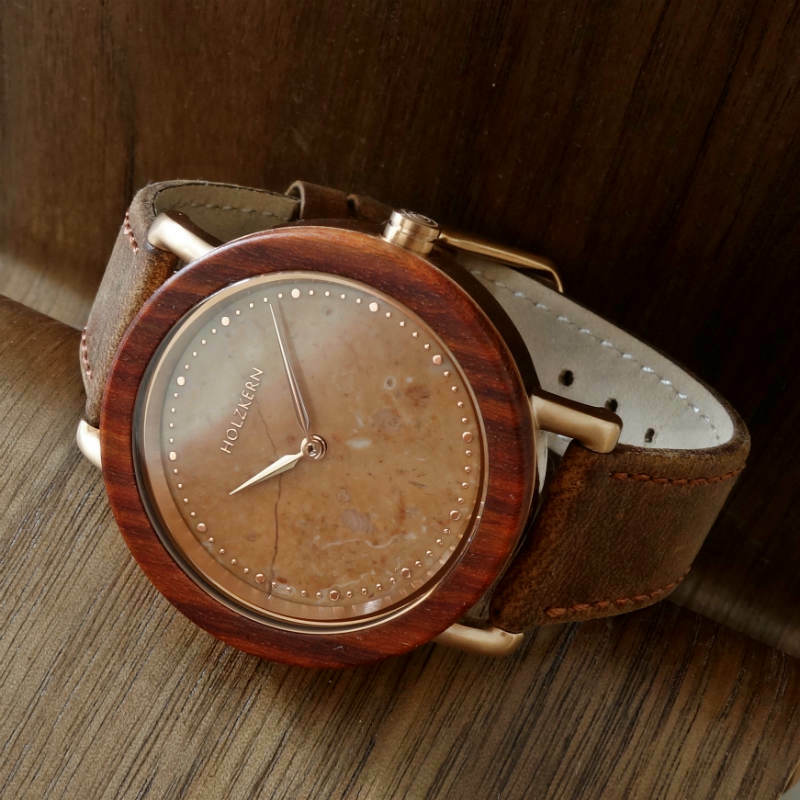 Whether we agree or disagree with the display of the watch as a social marker, that is how things really are, and not from yesterday or today. From this important function of the watch and the presence of the natural stone in its composition we can draw a clear conclusion: the stone was felt in its turn as a material of excellence and elegance. Stone is preferred for color, but more for its texture. Of course the marble - for the veins - was immediately chosen and the granite for its pigments. The combinations are unlimited, and the art of color variation is free to express the creativity. 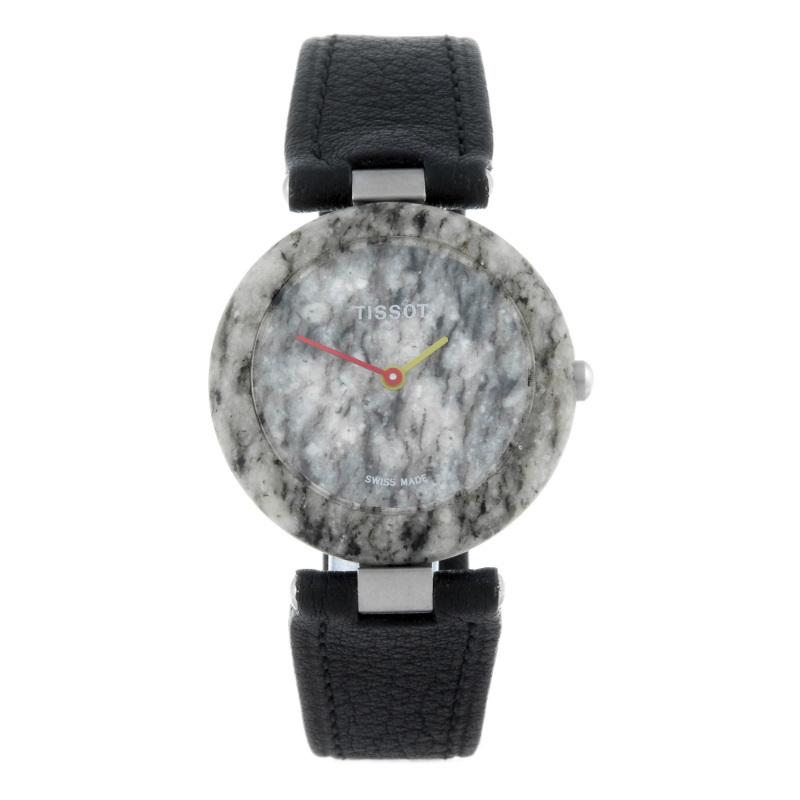 The marble included in Tree Hut watches is defined as a contrast element to the wooden bracelet, while the monochrome slate is so elegantly integrated into the stainless steel bezel of other brands. 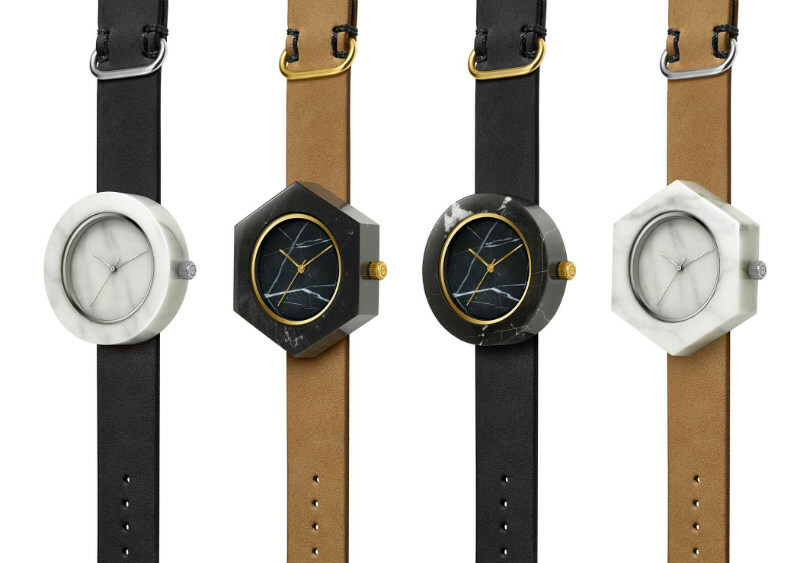 Analog Watch Co. has a collection of watches whose entire structure (minus the strap) is made of black and white marble of different shapes. In their case, watches are small pieces whose consistency and weight they feel right before they reach them. 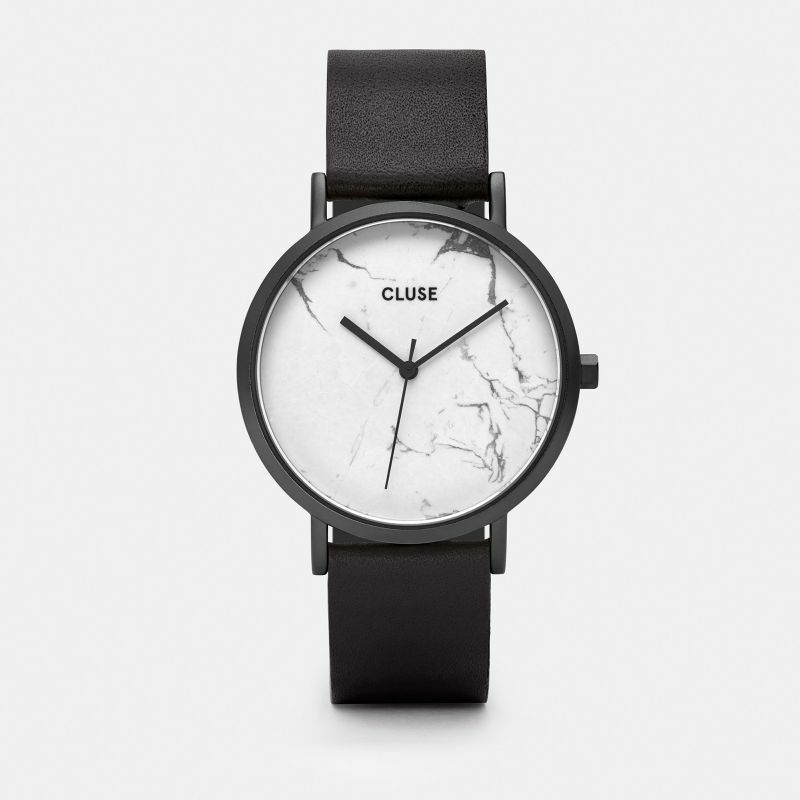 Cluse, on the contrary, choose a classical-minimalistic path: no excess, just delicacy and discretion. 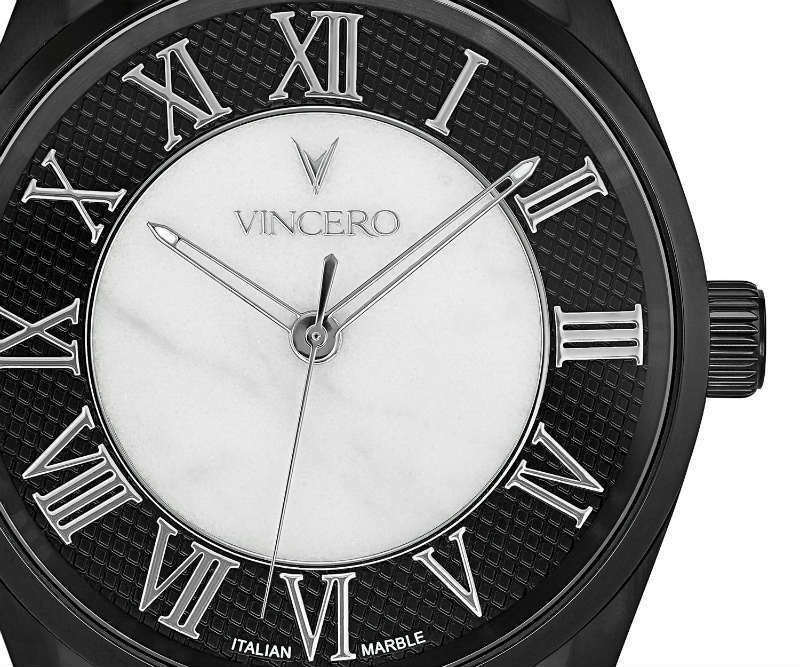 Vincero puts marble to bring back the classic aura, safety and durability in the design of their models: the eternal features of marble. Holkern seeks to divide the design into two parts: bezel and bracelet - on the one hand, the marble dial - on the other. Once borders are set, marble and wood are mutually highlighted and you can barely realize the true vibration of natural material compared to plastic. 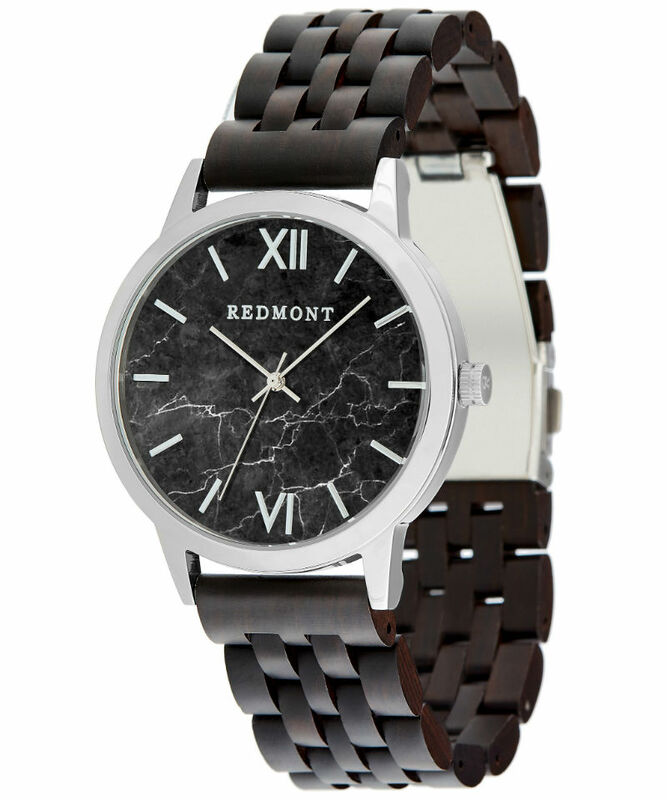 Regarding plastic and natural material, we need to make a needed bracket: the price of such watches starts at $ 150. And it reaches a few thousand: L.U. Chopard. Creators of L.U. 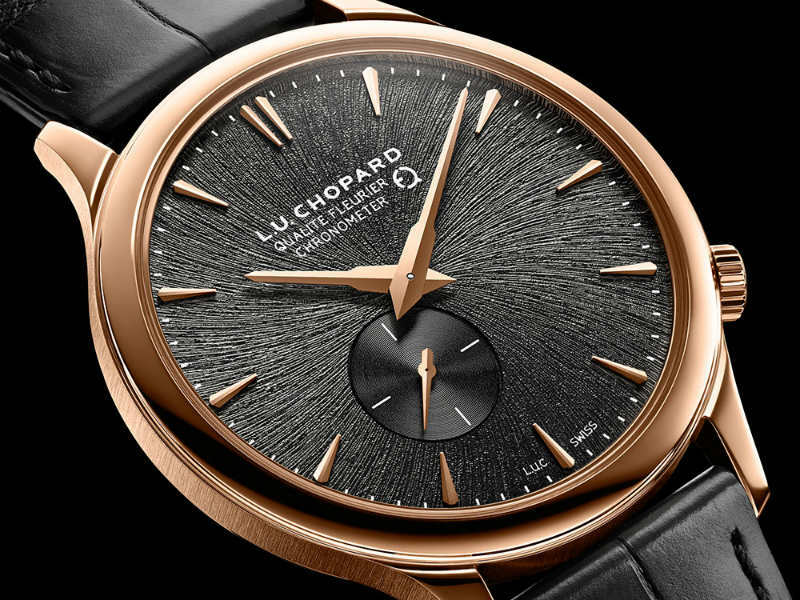 Chopard chose the slate for the dial. The super stylish lines of the brand look even more impressive with slate. 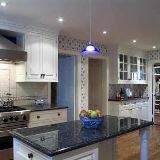 In this case the stone shows its versatile character, it remains stylish but with a note of dynamism. Tissot relies on large, almost awkward disparities, but can afford this, due to brand awareness. In our chosen example, the granite harmonizes perfectly with the belt, but the colored tongues seem to be from another, challenging combination, typical of the third millennium. 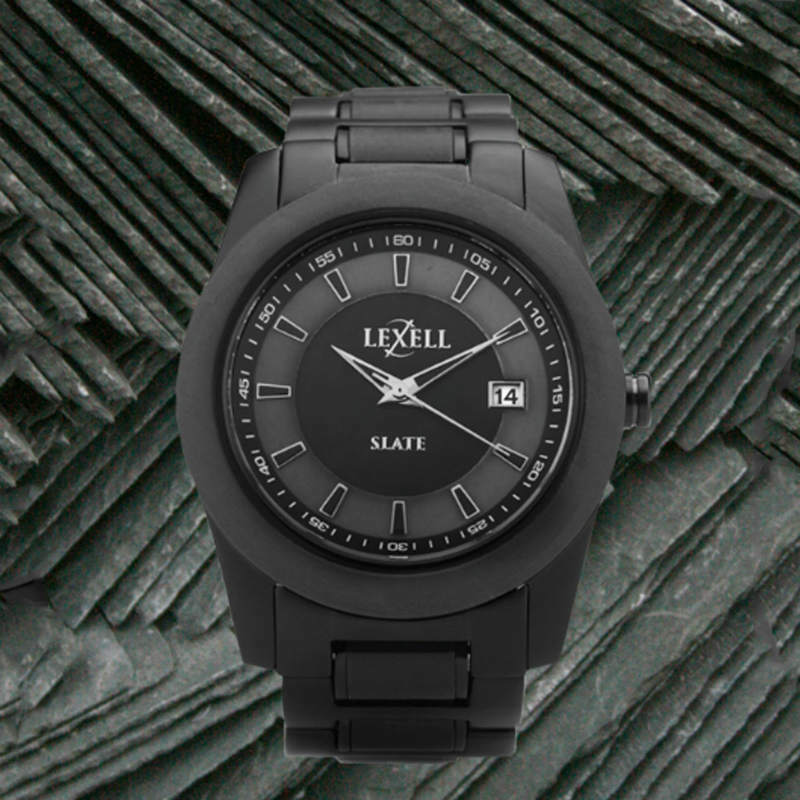 For lovers of more "sporty" watches, with elegant accents, however, we have the Lexell brand that puts black slate at the center of our chosen model and from there radiates both force and luxury, prestige and a pronounced youthful air.